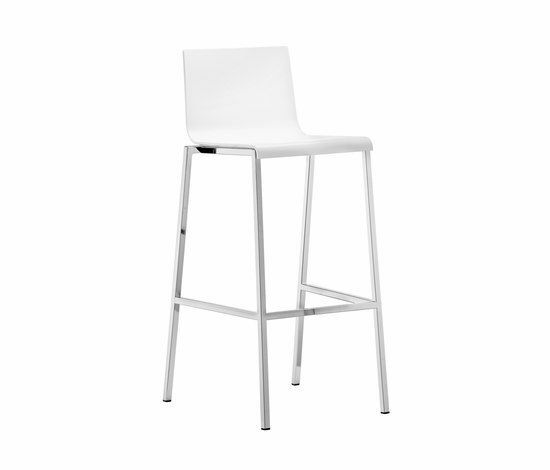 Kuadra barstool, white or ivory technopolymer shell. Chromed or satinized steel tube frame 20x20 mm, height 800 mm. Available stackable version height 650 mm.